As previously alluded to, we are currently preparing a much larger Technical Test than our previous Diary Studies. And if you are be one of the chosen many, you won’t have to wait much longer, as this test will take place end of November! – It’s a Technical Test: You should expect that some things in the game will (and sometimes even should!) break. This test is intended to give us valuable insights into topics like balance and game performance. It won’t be representative of the final polished game you will be able to enjoy next year (and which will be even better thanks to all of you helping us with this test). – NDA: Should you be selected to participate in the Technical Test, you will have to agree to a Non-Disclosure Agreement (NDA). That means that you are not allowed to talk about the game outside our special Technical Test forums, and you are not allowed to post any pictures, videos or to stream the game. We appreciate that you are excited to play the game and to share your experience with others, but given that this is a Technical Test where we know things will break, this is not the time to do so. – The Technical Test won’t include the entire game. Players will be limited to Citizen Tiers 1-3, and the Campaign won’t be playable. We will send out invites to Union members a few days prior to the Test’s start, so keep an eye out to see if you are among the chosen ones. We look forward to seeing many of you in the game, and are thankful for your help in making sure Anno 1800 will be the best possible experience for all Anno fans when it ships on February 26th. Hello. I was invited to participate, and signed the NDA. However, I did not receive any further communication. Should I still be waiting, or did I miss the cut? Thanks, and either way I am looking forward to playing Anno 1800. I have the same issue, I click the link in Uplay to the test forums, but the forum says I have no access. Is it necessary to reserve the game to download the beta? No it is not. Just start UPlay and install the beta. Ofcourse it is only visible when you received a e-mail about it. I see lots of people received their invites (congrats to those that made it in!). Is it safe to say if we haven’t received anything as of yet we won’t be included? I got some dates in the Email i received. Does this mean that, after the test ends, that the demo we as testers receive will no longer be playable? Forgive me – this is my first test of this sort i have been allowed to participate in. I have all recommended specs and I am a big fan of anno 1701 and 1404. Can I still be choosen ? How do I register please ? I am happy that I have just installed a Nvidia GTX 1060 in order to contribute training games for Leela Chess Zero. I’m looking forward to the test with anticipation! Wish my best for all beta testers. Hello, I preorder the game at last, using my wife PayPal account. I also want thank you for picking me. did u get a key or smth else ? Im not sure what i have to do to play tomorrow. Also got an invite for the Test. I think there are more players / users of Spanish than French so that the voices of the game could also come in Spanish. Thanks for being chosen for technical test, can’t wait! I am a Chinese international student and a lover of Ubisoft games, especially the ANNO. When ANNO 1800 started the pre-order, I bought the game. I hope I can take part in this test and try my best to respond all kinds of problems, if I met them. It is great that the game will be in my native language – Polish. Now back to Anno 2205 waiting to be chosen for tests. Sad that there is no full Polish language, only subtitles. Where can we comment on the state of play freely? 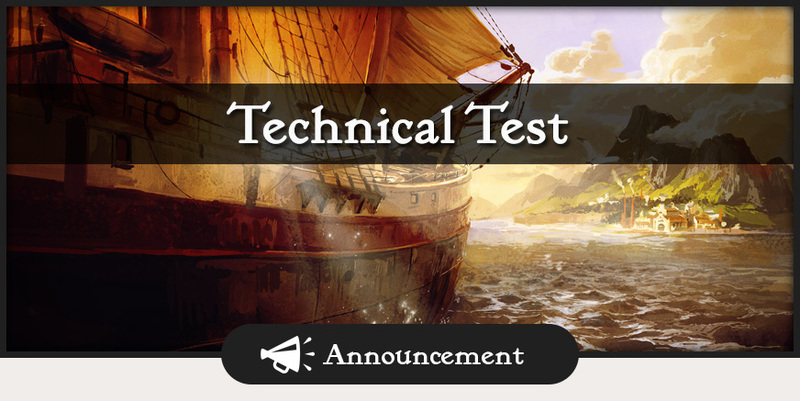 I was picked for the test and I’m sooo ready for it but unfortunately my pc isn’t.. I’m in the process if upgrading it (solely for Anno 1800) and my currents specs are nowhere near the minimum for 1800.. so I guess, I can’t participate? I didn’t apply for the test, exactly because of my pc and they sent me an invite (probably because I have thousands of hours on Ubisoft on 1404, 2070 and some 2205). I’m a legit Annoholic, I only play Anno, I’m literally counting the days for its release but I can’t play the test.. If you have been invited, you should definitely try to play the game. We are always curious to see how it performs on a wide range of hardware, so just go for it! Worst case, it won’t run, but maybe you’ll be surprised. Thank you for the invite and congrats on your work! Anno series is an amazing volume of programming, design, story line, concept and philosophy. Its a sophisticated piece of work, quite unique and inspiring. 1404 and 2070 were far beyond a game. They are a gaming experience and it looks like in 1800 you have combined and upgraded the best of both. Oh well, thanks anyway for the opportunity, hopefully I have saved up enough money by February to buy a new computer and the game! I applaud your localization efforts. So I want to do a Korean test. My heart is excited and I look forward to it. Korean support! This is what every korean anno fans were waiting for! How we will know if we are the chosen ones ? All selected testers will receive an invite a few days prior to the beginning of the test. Make sure you registered here on the Union using your Uplay account. Really excited about this! Fingers crossed I get the invite. Already pre-ordered and ready to report bugs to help make this best game even better. Good job, guys. Wurst ist Leben ! I’m ready for the test 🙂 can’t wait. Is it enaught if I registered myself to beta test in January this year or should I do it again ? Any idea when system requirements will be ‘hinted’ ? Just for the people out there who want to prepare their hardware; or will Anno 1800 have the same system requirements like Anno 2205? We will announce the system requirements prior to launch, but they are not final yet. We are currently in the middle of our optimization efforts, and this technical test will definitely help is to get some more insights into areas where we can further optimize. So I’ll have to ask you for a bit more patience on that front, as we work to make sure that the game runs as smooth as possible on a wide range of systems. At this point only if I get that big broach I will agree to test it :D.